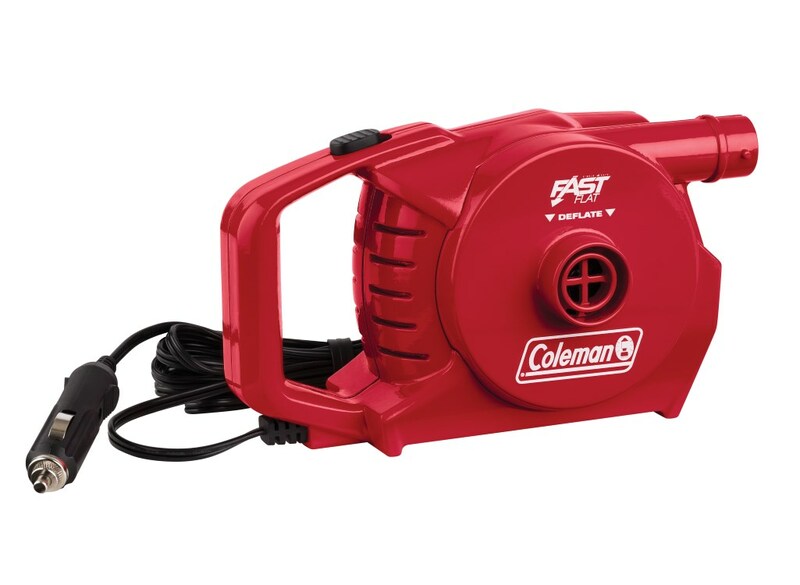 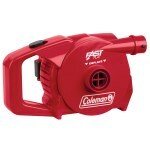 The Coleman 12v Pump runs off your car's 12v socket. 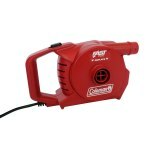 It very quickly inflates airbeds and other low pressure inflatables such as beach toys and other. 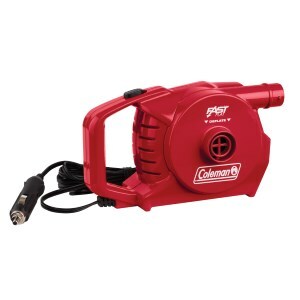 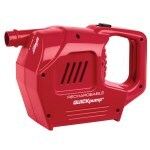 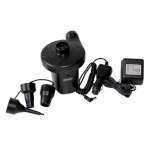 This high volume pump is great for situations where your car is nearby.